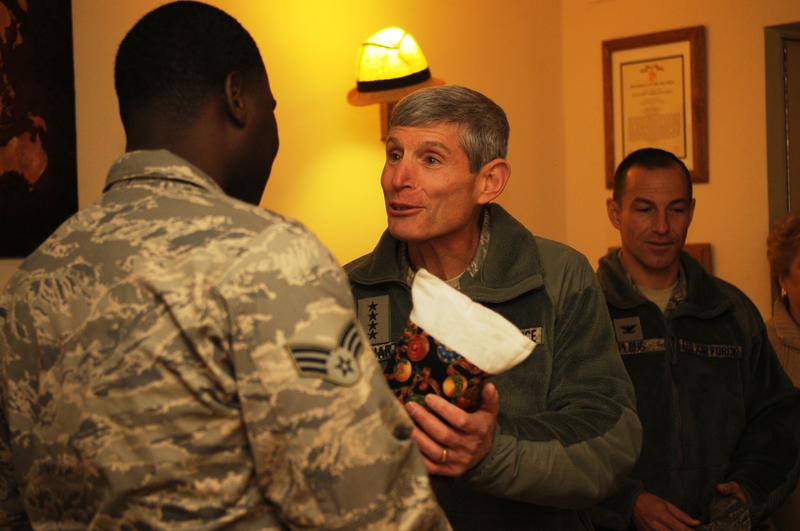 You are at:Home»Air Force»What’s in the stocking? So the question has to be asked: What is in a holiday stocking from the chief of staff? I assume it’s full of challenge coins and PowerPoint presentations about Air Force core values on Pentagon-use approved flash drives, but I could be wrong. Any ideas? Leave your guesses, intelligent or otherwise, in the comment section. Also, ever wonder what the chief looks like dressed down? Now you don’t have to wonder. Way down at the bottom, he will find his “Pink Slip”.